TED is a nonprofit devoted to Ideas Worth Spreading. It started out (in 1984) as a conference bringing together people from three worlds: Technology, Entertainment, Design. Today, TED is best thought of as a global community. It's a community welcoming people from every discipline and culture who seek a deeper understanding of the world. Add and vote for you favourites! TED Talks Sir Ken Robinson makes an entertaining and profoundly moving case for creating an education system that nurtures (rather than undermines) creativity. 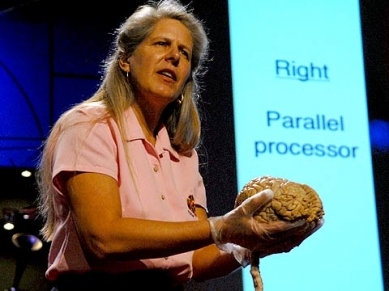 TED Talks Jill Bolte Taylor got a research opportunity few brain scientists would wish for: She had a massive stroke, and watched as her brain functions -- motion, speech, self-awareness -- shut down one by one. An astonishing story. TED Talks Tony Robbins discusses the "invisible forces" that motivate everyone's actions -- and high-fives Al Gore in the front row. TED Talks With the same humor and humanity he exuded in An Inconvenient Truth, Al Gore spells out 15 ways that individuals can address climate change immediately, from buying a hybrid to inventing a new, hotter "brand name" for global warming. TED Talks You've never seen data presented like this. With the drama and urgency of a sportscaster, statistics guru Hans Rosling debunks myths about the so-called "developing world."